A delegation led by Prof. Zhang Yinjie, President of Kunming University of Science and Technology (KMUST) visited The Chinese University of Hong Kong (CUHK) on 21 November 2014 to strengthen linkage between the two universities. The delegates met with Prof. Joseph Sung, Vice-Chancellor, Prof. Hau Kit-tai, Pro-Vice-Chancellor, Prof. Chiu Chi-yue, Dean of Social Science; Prof. Nelson Chen, Director of School of Architecture and Prof. Edward Ng, Yao Ling Sun Professor of Architecture. During the meeting, Prof. 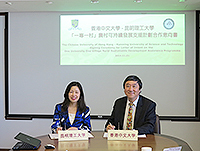 Sung and Prof. Zhang signed Letter of Intent on 'One University One Village Rural Sustainable Development Assistance Project' between CUHK and KMUST on behalf of the two universities. 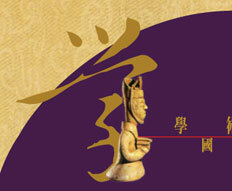 Both parties also updated each other on the progress of the Project. 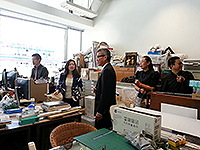 The delegation next visited the School of Architecture to understand the recent developments of CUHK in architecture. 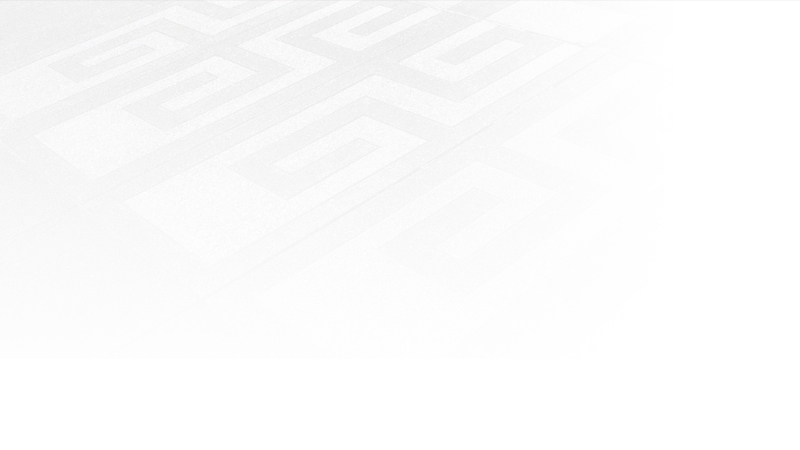 They also toured the University Gallery to obtain more information about the University. The visit provided an opportunity for both parties to enhance linkage and nurture friendship. Mr. Zhang Jianming, Executive Vice Chairman of the University Council of Renmin University led a delegation to visit the Chinese University of Hong Kong (CUHK) on 25 November 2014. The purpose of the visit was to learn more about the development of CUHK and the management of university archives and arts administration. The delegation met with Prof. Michael Hui, Pro-Vice-Chancellor; Prof. Leung Yuen-sang, Chairman of the University Gallery Steering Committee and Dean of Arts; Prof. Xu Xiaodong, Associate Director of Art Museum; Ms. Gan Qi, Director of University Press; and Ms. Wing Wong, Director of Academic Links (China). CUHK representatives exchanged views with the delegation on the establishment of University Gallery, the management of cultural facilities as well as university publication. After the meeting, the delegates toured around the University Gallery, the Art Museum and the campus. Through the visit, the delegation obtained more information about the recent development of CUHK. The visit provided a valuable opportunity to exchange ideas and strengthened links between the two universities. 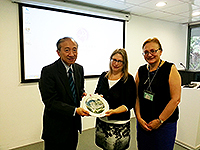 - Prof. Julie Sanders, Vice Provost of the University of Nottingham Ningbo China visited CUHK on 19 November 2014. She met with Prof. Hau Kit-tai, Pro-Vice-Chancellor and Ms. Louise Jones, University Librarian to understand the development of the University. A library visit guided by Ms. Jones was arranged for Prof. Sanders after the meeting. - Mr. Bian Jian, Party Secretary of Cixi City of Zhejiang Province led a 9-member delegation to CUHK on 7 November 2014. Prof. Fung Tung, Associate-Vice-President warmly greeted the delegation. 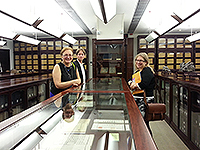 The delegates also visited the University Gallery to have a better understanding of the history of CUHK. Contributions should be sent to the office by the 22nd day before the issue month. Copyright 2019. 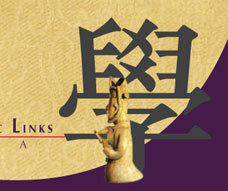 Office of Academic Links (China), The Chinese University of Hong Kong. All rights reserved.